Over the last 10 years I have worked in Theatre at The Royal Exchange, toured Europe with Evita and in the West End on Wicked. I have also worked in Television as a Hair and Makeup Artist on Drama’s such as ITV’s Mr Selfridge, Channel 4’s Utopia, Hollyoaks, BBC’s The Paradise and The Bletchley Circle, to name a few. 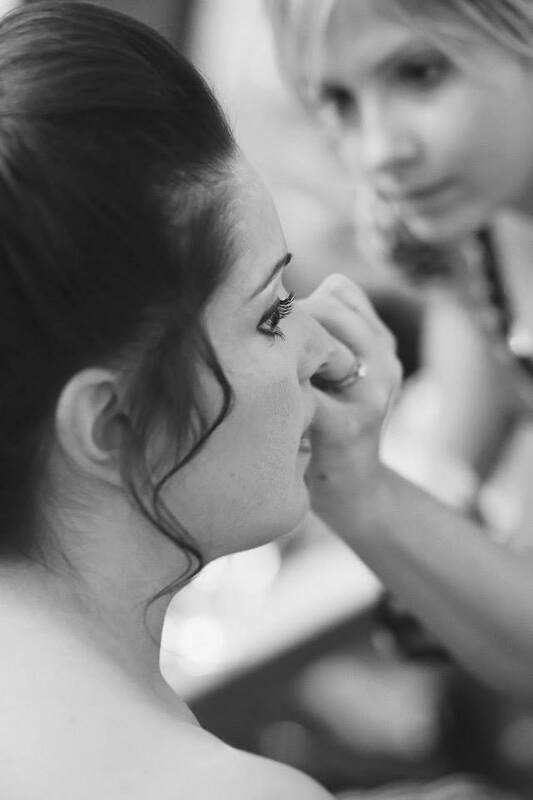 I have worked with countless brides and their bridal party, enhancing their beauty through wedding hair and makeup and I always feel very lucky to be a part of their special day. Thank you for considering me for your wedding hair and makeup. I love making a difference to a bride on her wedding day. My main priority is that you as the bride feel happy and confident, from booking me right up until I leave you, on your wedding day, to walk down the aisle. Through working on different actresses of varying age and character, I am accomplished in achieving a wide range of bridal make-up looks and hair styles whether it be classic, bare minimum or Hollywood glamour and I always strive to create a wedding hair and makeup look which reflects your own individual style. With my experience in period drama, I am used to accomplishing different makeup looks, such as a 1920’s smoky eye and red lips, glamorous 1950’s or ‘no makeup’ looks for Victorian dramas I have worked on, so I am fully skilled to create a vintage twist to your bridal hair and make-up, if you so wish! I live in Chester, where I am rated in the top five wedding hair and makeup artists, and I cover surrounding areas throughout Ellesmere Port Northwich, Cheshire, Wrexham and into North Wales. I will happily travel further afield, please see travel charges.